Dalton watches television downstairs in his safe haven decorated with his favorite sports memorabilia. He finds comfort in sitting with his hands and shirt on his face when he watches television. Dalton straightens his hat collection in his bedroom closet. While a fan of many sports his bedroom is dedicated exclusively to Dale Earnhardt. 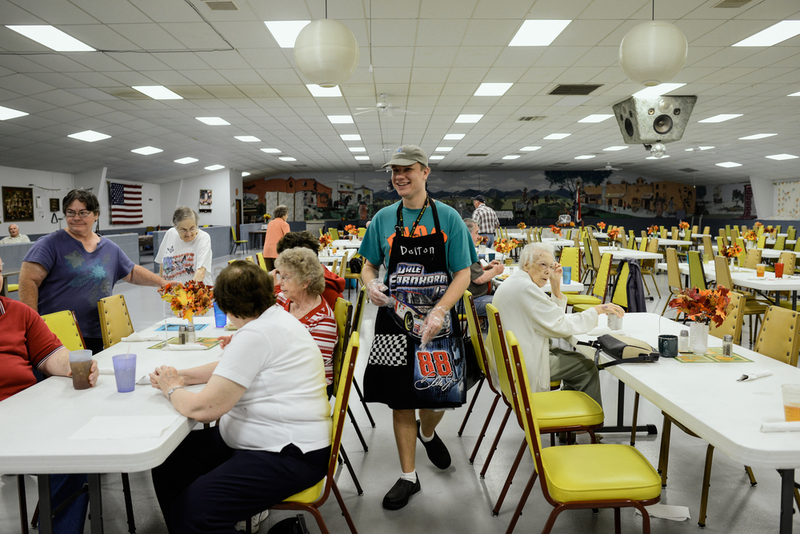 Dalton helps serve lunch at the local senior center. He volunteers multiple times a week because he enjoys interacting with different members of the community. 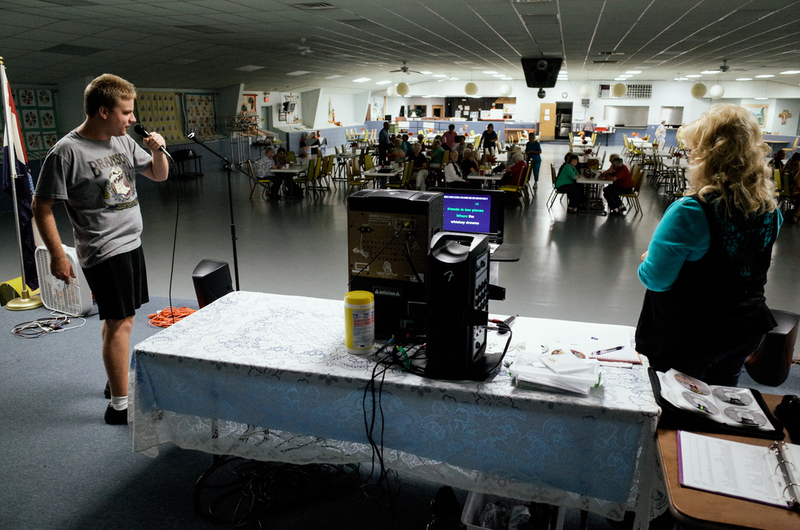 On Tuesday nights Dalton sings karaoke at the senior center where he volunteers occasionally during lunch. He is one of the few young people who volunteers and participates in the senior center activities. One day a week Dalton works at the Lakeview Motor Lodge and Restaurant rolling silverware and wiping chairs. He always finds time to share a moment with customers. Dalton sweeps at Lakeview Motor Lodge where he works one day a week helping in the restaurant and other tasks. 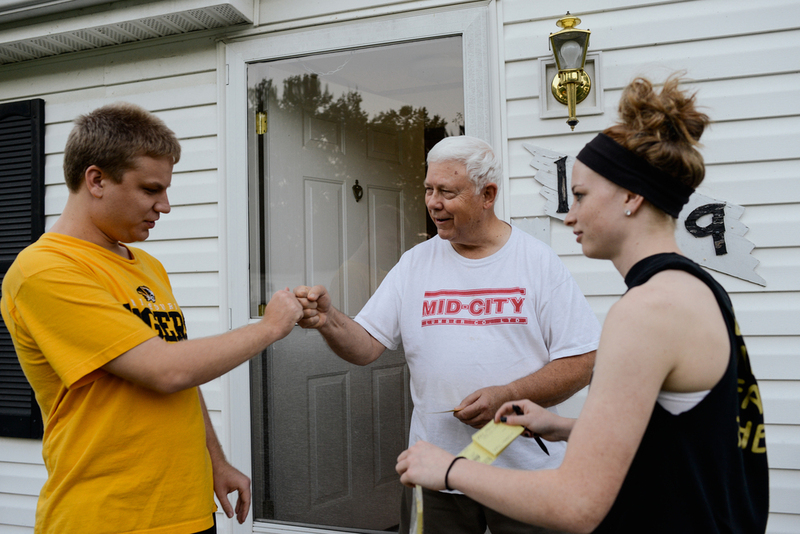 Out on a walk near his home, Dalton visits with neighbors to talk sports and exchange trading cards. A neighbor greets Dalton and his sister, Angela, as they sell raffle tickets. People in the community enjoy him stopping by. The Trask family says grace before dinner. Dalton shares a playful moment with his family dog, Roxy. The family dogs are a source of comfort for him. Dalton's mother, Joyce, shows affection before she leaves for work in the morning. A nightly ritual, Dalton and his parents, Casey and Joyce, spend some time together watching television.